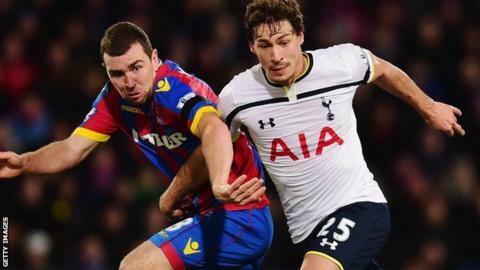 Tottenham midfielder Benjamin Stambouli has joined French champions Paris St-Germain on a five-year deal for a fee reported to be about £6m. In total, Stambouli made 129 appearances for Montpellier before making the move to the Premier League. "I wasn't necessarily planning to leave the Premier League after one year but when a club with the dimension of Paris St-Germain calls you, it makes your choice a lot easier," he said. Find all the latest football transferson our dedicated page.